Are you ready for your weekend? Are you a little stressed? I got an email the other day asking for a good destress exercise from work or the office. The ultimate exercise to destress yourself is to learn how to meditate which means to quiet your mind. Once you learn to quiet your mind, you can listen to your thoughts, and when you listen to your thoughts, you can learn what kind of conversation is in your head that is causing your stress. As soon as you listen and learn the stressful conversation, you can release your worry. This is very simple, but not an easy process without dedication. An easier process is to learn DEEP RELAXATION. When you learn and practice DEEP RELAXATION, with just a deep breath, you can learn to relax anytime and anywhere. This means at work, in the office, at home, or at school. 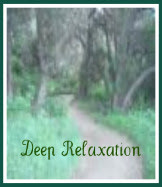 When you learn DEEP RELAXATION you know what it is to relax your mind and body. But please, don't believe me, try it yourself and just watch the process of destressing yourself, any time and anywhere. Give yourself a chance, check out my DEEP RELAXATION audio, you will experience the destress exercise you will need.